With one of the largest urban campuses on the East Coast, it's always a luxury to be able to have any sports facilites by the hub of campus. 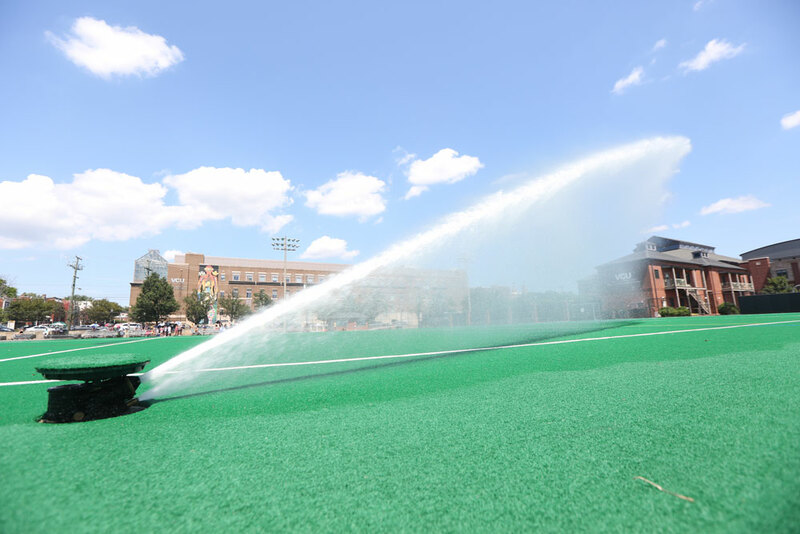 VCU Field Hockey and Women's Lacrosse has that luxury with Cary Street Field, located on the corner of Cary and Harrison Streets, just two blocks from "The Hub". With a water-based astro-turf surface, the Rams have plenty of space to work individually or as a group. The facility seats just over 1,200 and it was at capacity in 1992 when it hosted the NCAA Field Hockey Championship. The attendance of 1,219 at that contest set a then-record for the event.